It’s a well-known fact in the trade show biz that if you want to attract traffic attention, you need to go big. At the 2019 Photo Booth Expo, the exhibitors filling the 80,000 square foot show floor took it to the extreme, staking claim to the locations with size and color. In the end, it all enhances the experience of being at PBX. Because of the time and money spent on designing, building, shipping and assembling a killer booth, attendees are invited to vote on their favorite booth after each PBX event. The voting is done online, and the rules are quite simple. 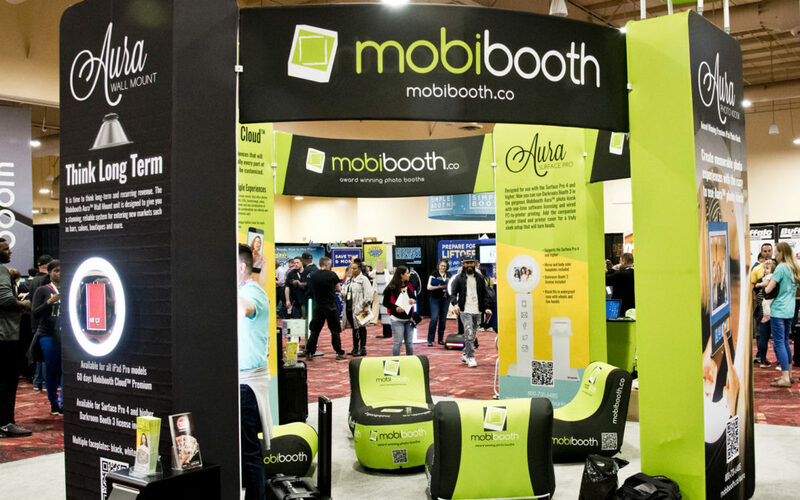 This year 895 people participated in voting for the Best Booth at #PBX2019 with top honors (Platinum Award) went to Mobibooth, LLC (Mobibooth AURA Photo Kiosk).